Your garage door may not appear to be a complicated piece of machinery, but the truth is that your garage door has over 300 working parts. When one of these components malfunctions or breaks, your door will not operate correctly and may even pose a safety risk to you or a family member when they attempt to use it. At Summit Garage Door Repair, we provide prompt affordable scheduled or emergency repair service to our residential clients in Seattle, Washington and the surrounding areas. Our knowledgeable garage door repair technicians can repair, adjust or replace many of the components of your garage door system including springs, cables, hinges, rollers, gears, safety eyes, sections, sprockets, chains, tracks, motors and much more. At Summit Garage Door Repair, our qualified garage door repair technicians are the experts when it comes to spring replacement. Broken garage door springs are one of the most common garage door issues experienced by residential home owners. 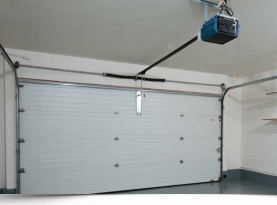 Springs are designed to lift the weight of the garage door so it opens and closes smoothly and securely. A broken spring can be dangerous. Contact the experts at Summit Garage Door Repair for immediate assistance. 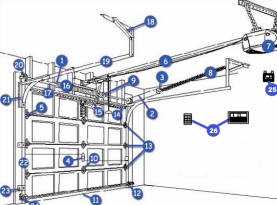 Are you having a problem with your garage door opening? Most of the time your door opening issues can be corrected through the replacement of worn gears and sprockets and the realignment of the door’ safety eyes. Our professional garage door opener repair service can add years of service to your opener at an affordable price. 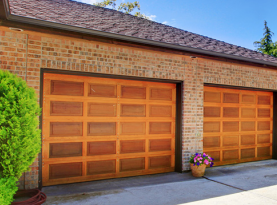 As a homeowner, you rely on your garage door to perform properly under a variety of conditions. 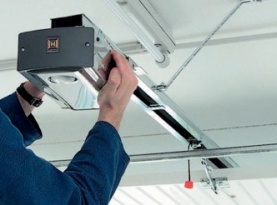 It is important to get your garage door inspected on a regular schedule to ensure that the components are working correctly and that any potential problems are repaired early. Your garage openers should occasionally be checked to ensure that the batteries are in good working condition. At Summit Garage Door Repair, we proudly provide garage door repair services to our residential clients in Seattle, Washington and the surrounding areas. Garage door parts are often hard to find but we have access to a large inventory including drives, opener parts, belt drives and chain drives at affordable prices. Our reputation in the area proceeds us and we are well known for our high-quality work ethics and friendly and knowledgeable staff. We work with the top brand names in the garage industry including Genie, Lift master, Stanley, Craftsman, Chamberlain and Overhead Doors. Contact the experienced professionals at Summit Garage Door Repair and speak with a customer service representative about all of your garage door repair needs in Seattle, Washington and the surrounding areas.